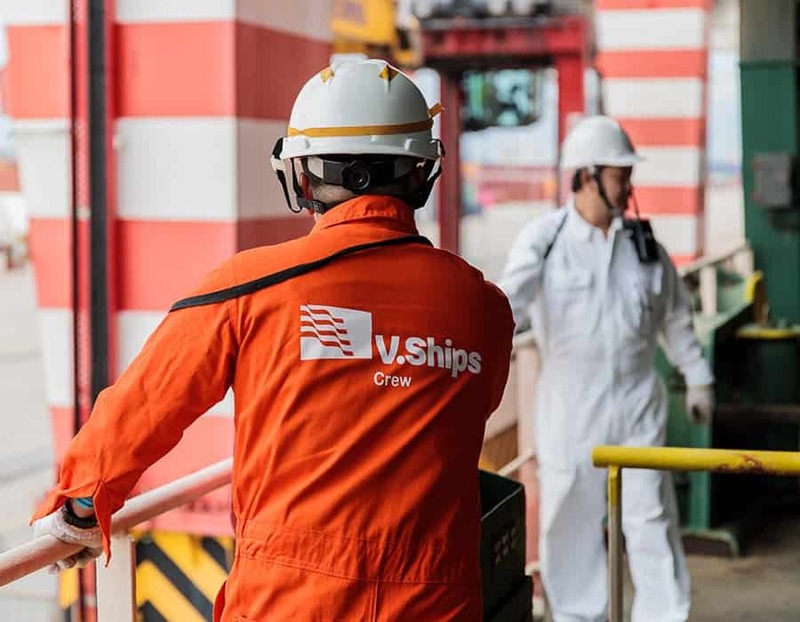 V.Group is the leading independent provider of global maritime support services with a force of over 44,000 active sea workers. Covering catering, crew, technical services, and ship and crew management, all onboard and offshore colleagues have support from an onshore team over 3,000 across 31 countries. Dedicated to investing in people, technology, and systems, V.Group have a commitment to deliver excellence in every area they operate, carrying out the highest quality service to their customers. With over 20 brands to their name, the group website had become bloated and difficult to navigate. 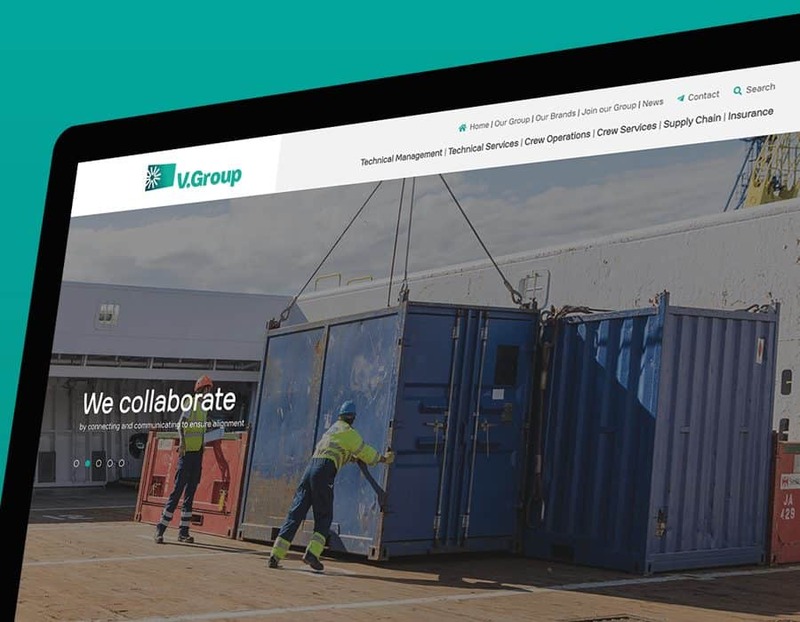 V.Group needed a new website to showcase the increasing number of maritime support services they offer, as well as the brands that manage them. V.Group consists of many different brands and services and it was crucial that each received equal status across the site. 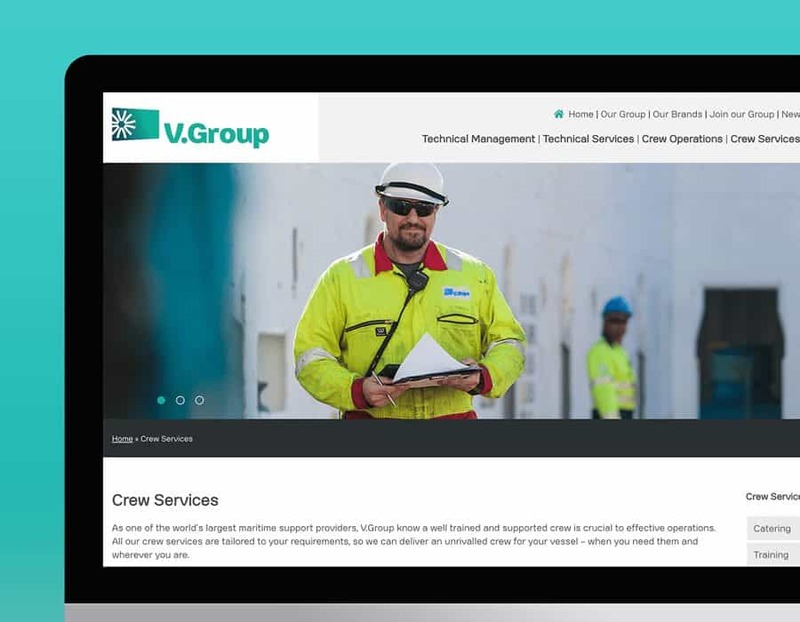 By creating a new, simplified, and easy to navigate site structure, we split the V.Group services into six main categories: Technical Management, Technical Services, Crew Operations, Crew Services, Supply Chain, and Insurance. As well as the group website design and build, we also project managed all the new site?s content, including copy, photography, and videography. The existing website copy on each page had become too long and inconsistent, making it hard to read, lacking in clarity, and without a clear tone of voice. With the new site, it provided an opportunity to have all new and engaging copy written for every page. Across the new site?s 50+ pages, we were able to make the copy more focused, keeping it shorter, easier to read, and more dynamic. 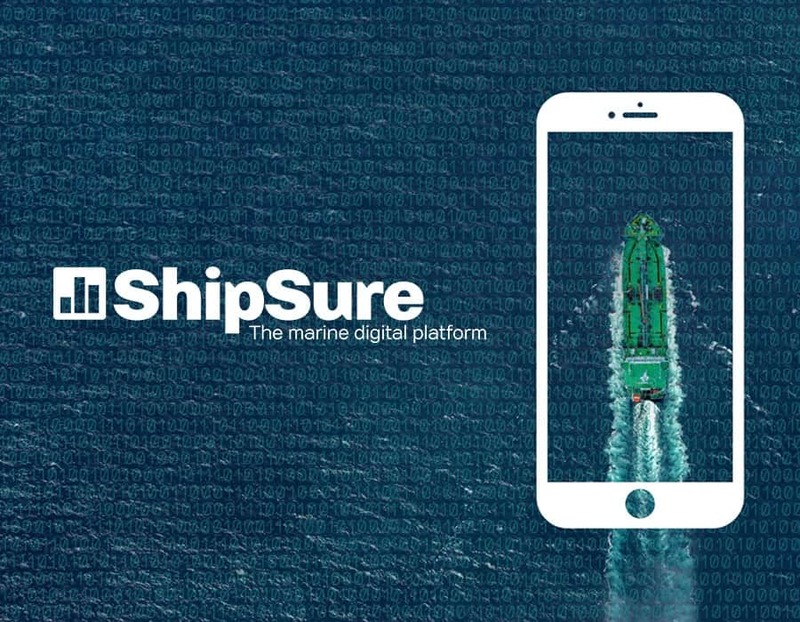 Though more direct in style, we were mindful the copy needed to be business orientated, connecting with V.Group?s target customer audience of ship owners and managers. When we started work on the rebuild for the new V.Group website, we realised there was a lack of high quality photography that represented the companies values. To fix this, our photographer went to various locations around the UK, including Aberdeen, Southampton, and Dover, for photoshoots with working crew on offshore vessels, containers, and cruise ships. The resulting photos are in use across the site, and have helped create a high quality image library for V.Group to use in any marketing communications. A useful asset for any marketing team, we created an extensive image library so any high and low-res photography can be shared with third-party PR and marketing agencies. With two levels of login access, administrators are able to add, remove and tag photos on the library, while any authorised users can download photos for PR or marketing purposes. With the inclusion of the new photography, the image library is a practical resource for the V.Group team and their contacts. Nowadays, a website is more than text and photos – the addition of video is now just as important. Being involved in producing the V.Group corporate video gave us a effective platform to showcase of all the services they offer. As with any corporate video, the emphasis is on attracting customers and investors, so it needed to be concise, clear, and informative. As a result, the final video is just the right length, featuring a professional voice over and several VFX effects, and is complete to professional standards.